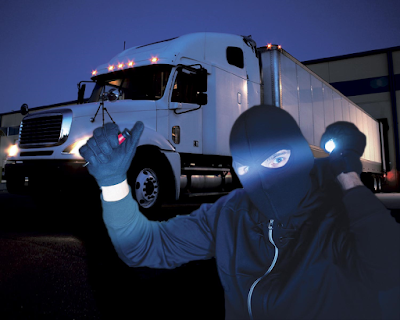 The Mexican national truckers' association says highway robberies of freight trucks are "out of control" and calls the nation's roads a no-man's land with an "unstoppable wave of robbery taking over the country's roads." Mexico's organized criminals are increasingly turning to kidnappings, extortion and cargo thefts as a government offensive against drug cartels continues. There are near-daily reports of drug-gang executions, kidnappings and extortion. As a result, half of the U.S. firms surveyed recently by the U.S.-Mexico Chamber of Commerce said they would not go ahead with new investment plans in Mexico, citing concerns about safety. Entire trailer-loads of newly built cars were stolen this year along major highways in the states of Tamaulipas, Nuevo Leon, Morelos and Sinaloa. Some truck drivers refuse to drive through dangerous areas including Ciudad Juarez, where officials say criminals typically extort about $70 to pass without harm.